First full trailer for the upcoming Netflix original series. 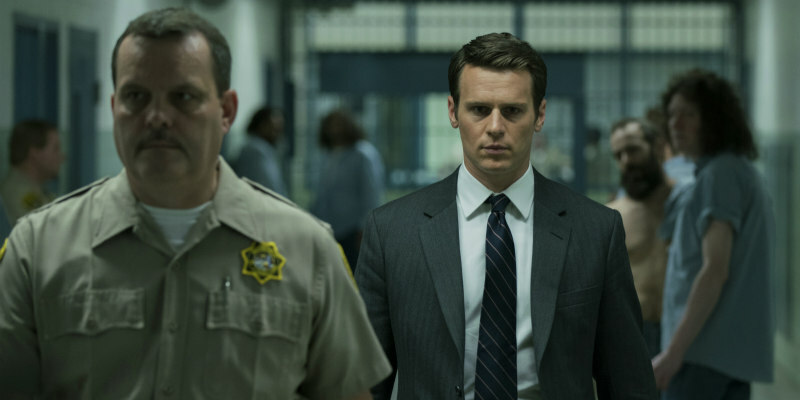 After playing a major role in the birth of Netflix as a creator of acclaimed original content with House of Cards, David Fincher returns to the streaming service with a new show, MINDHUNTER, which debuts October 13th. The show stars Jonathan Groff and Holt McCallany as a pair of FBI agents specialising in tracking serial killers. Episodes are directed by Fincher (Gone Girl, Zodiac), Asif Kapadia (Amy, Senna), Tobias Lindholm (A War, A Hijacking) and Andrew Douglas (The Amityville Horror, U Want Me 2 Kill Him?). How do we get ahead of crazy if we don’t know how crazy thinks? Two FBI agents (Jonathan Groff & Holt McCallany) set out on a sinister investigative odyssey to discover the brutal answers. MINDHUNTER.